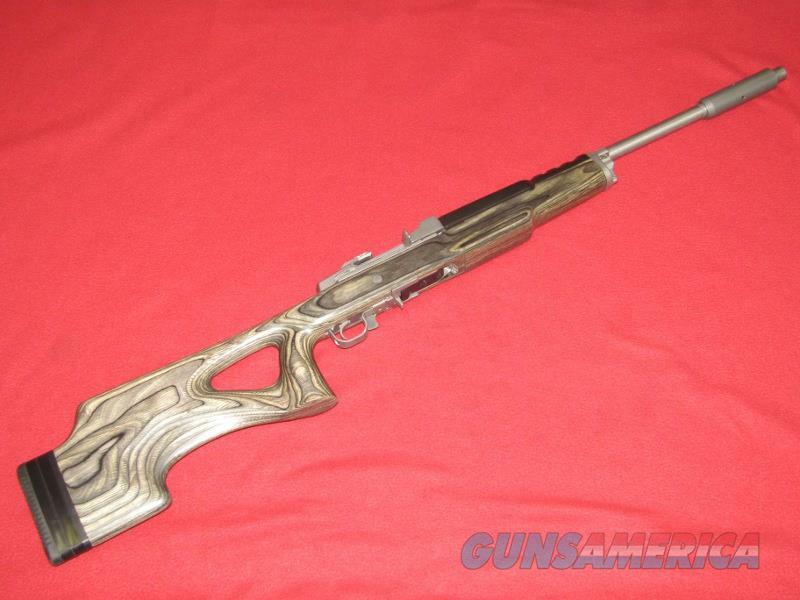 Description: Up for sale is a used Ruger Mini-14 Target Ranch Rifle (.223 Rem.). This item has a 22” heavy target barrel with a shiny bore, adjustable muzzle weight and laminate thumb hole stock. The brushed stainless steel finish shows some light scratches and a little bit of wear. The stocks shows some light scratches and dings in the wood. Comes in the original box with the gun lock, scope rings and one 5 rd. magazine.